Corkage: Do You Want to Hear From the Professional’s Point Of View? Restaurants are faced with a new reality that consumers clearly are on to corkage – beyond the BYOB backyard BBQ! 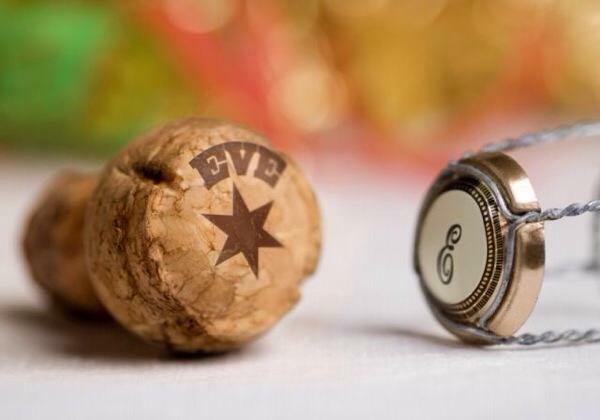 Corkage is a critical component of a restaurant’s beverage program, its ROI and hospitality. Welcome to the Good, the Bad and the Ugly Corkage panel! 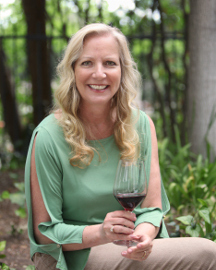 – Judi Laing, founder of CorkageOnline.com, a national directory where you can find corkage policies for wine, beer – and spirits. Mandy Woodward: Somm at Faith & Flower, freelance consultant and wine educator; Hunter Hall: President LA Board of Directors California Restaurant Association and Principal at Archetype Hospitality & Development; Lou Amdur: Wine Guru with an astonishing palate and Proprietor of Lou Wine Shop in Los Feliz; Bonnie Graves: Sommelier, Founder & President of Girl Meets Grape a wine & lifestyle advisory; Ting Su: Co-Founder of Eagle Rock Brewery , craft beer evangelist, founder of the Women’s Beer forum, a monthly meeting about craft beer and Moderator: Piero Selvaggio of Valentino, dean of Italian cuisine in America. Selvaggio got the conversation started by recalling his own start: 45+ years ago, a one page wine list that grew to what it is today. 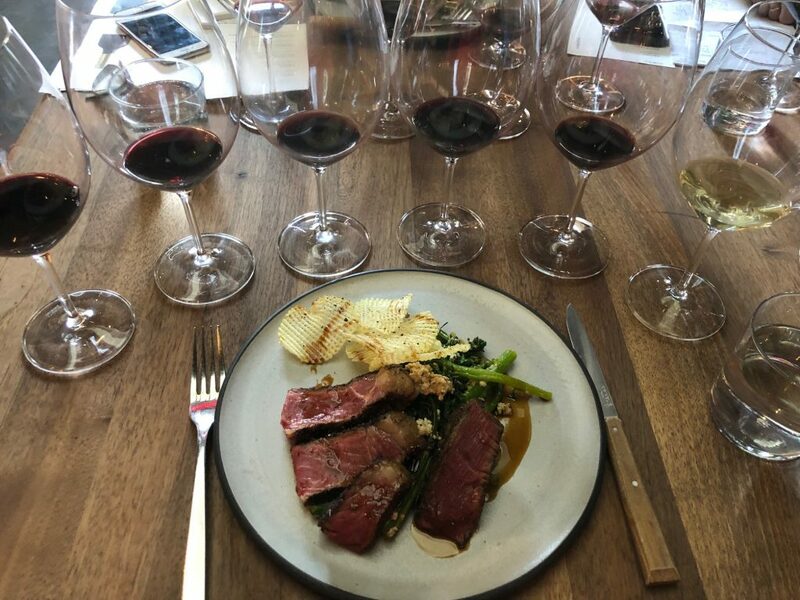 He felt, and some of the panelists echoed his thoughts, that people don’t bring food (someone called it a possible “steak-age” fee for bringing in food) into a restaurant so why do they feel so compelled to bring wine? The restaurant establishes a corkage fee for the service – opening, decanting if needed, glasses (high rate of breakage on fine glassware like Riedel) and clean up. Hall said that some restaurants are changing their business model – providing one type of service during the day and full service at night – and there’s less discussion regarding corkage issues. Later he did say that restaurants and wineries should discuss fees, customers don’t understand the mark up and maybe a different pricing structure, or deals with wineries, could be made. Woodward felt that people have no respect for paying corkage fees yet readily pay for expensive cocktails. Some diners make a big scene – opening their own bottles and/or bringing their own glassware – and don’t expect to be charged for corkage. She said it was an insult to the professional when a customer brings in a $20 Cabernet Sauvignon to go with oysters. 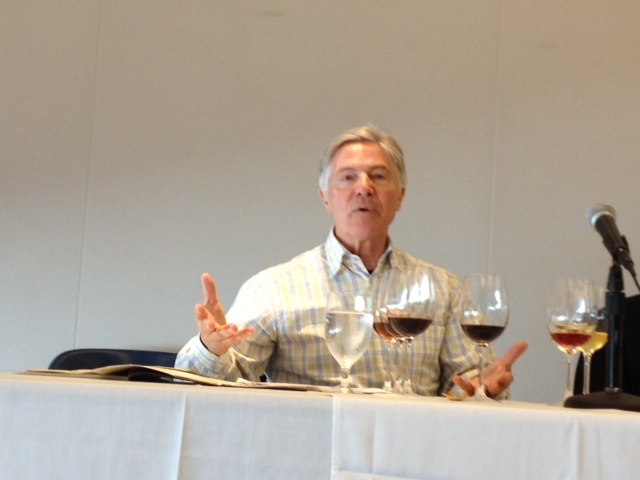 Customers don’t understand retail verses winery prices, or restaurant pricing, according to Graves. She felt customers should call a restaurant in advance regarding corkage policies, which is basic etiquette. The general public needed corkage education. She also thought that having different sizes – not just bottle or glass – could be offered. Wine store owner Amdur felt that it’s a magical moment in a restaurant when they serve wine so why do consumers want to discount that? When we “strip away the magic it’s not a great experience.” However there is a “shift in culture” to bring wine in. Do people look up the prices of food like they do wine? He didn’t think so. Woodward then added that no one should feel excluded. Her restaurant offers both lower priced wines as well as pricier ones. The somm can then move the client up to a better wine during the dining experience. Selvaggio said that a compromise is a good wine by the glass program. Millennial diners have moved from Pepsi to wine, but they don’t yet understand the value compared to food. Brewery and restaurant owner Su said that she has a corkage policy that applies to both wine and beer brought into her restaurant (she has a wine list) but not for one in the brewery. I have to admit that more than one thing members of the panel said didn’t sit right with me. Comments about customers making poor pairing decisions (I suggested they delicately educate) and comparing Two-Buck Chuck to a high-end bottles was an insult to them. Of course a somm has been educated beyond the average consumer, but the average consumer that dines at a high-end restaurant shouldn’t expect to feel insulted. I also have to admit that I wanted to solve the problem, and my idea of adding a few words onto their menu and/or website to explain their corkage policy along with the fee was rebuked as “people don’t read.” Err…but I’m a writer. The only speaker that I found myself in line with was Piero himself. As a restaurateur for over 45 years his role as a moderator reminded me of the middle child, the one that can negotiate both the smarter older child (somm) with the baby (that may not have the same wine smarts but has tastes that should be respected). Of course Piero didn’t say that, that’s only my perception. So, in regards to actual corkage, I’m not going to lecture you on how and when to bring in a bottle of wine. It’s ultimately your choice if you do so or not. My job is just to share thoughts from the other side of the (dining) table, from the person that is supplying you a service. Something to think about. 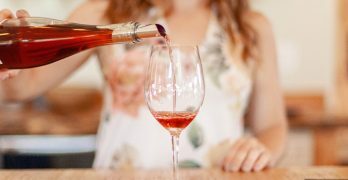 Temecula Valley, CA (PRWEB) – Celebrate California Wine Month Temecula-style this September in a month-long toast to the region’s bounty. Exciting programs for wine-lovers include CRUSH Wine & Culinary Showcase; Crush on Temecula Valley Wines, in partnership with local restaurants throughout Temecula Valley; a Wine Country video contest; a Wine Country social media challenge; SIP Temecula Passports, good for five tasting flights at participating wineries; and live events and entertainment happening in September throughout Wine Country. Temecula Valley Southern California Wine Country is home to more than 40 wineries boasting award-winning and 90+ point rated wines from Palumbo Family Vineyards, Lorenzi Estate, Callaway, Leoness Cellars, Hart Winery, Mount Palomar Winery, and more. For the ultimate Southern California wine experience, visitors and locals are invited to celebrate Temecula Valley’s harvest at the CRUSH Wine & Culinary Showcase. Over 30+ member wineries will be featuring their latest and greatest varieties for tasting, while patrons mix and mingle with winemakers, vineyard owners, chefs, and new friends as they enjoy live entertainment and artisan food bites from over 15 local restaurants. From September 1-30, local restaurants will offer unique Temecula Valley wine features to encourage locals and visitors to discover (or re-discover!) new favorites alongside Temecula Valley cuisine. These may include special Temecula Valley tasting flights, food and local wine pairings and zero corkage fees on local wines. To add to the fun, diners will be encouraged to share their wine new “crushes” via social media. This summer, Visit Temecula Valley and Temecula Valley Wine Growers Association invite amateur filmmakers to showcase their talents in the [insert name of video contest – stay tuned here]. 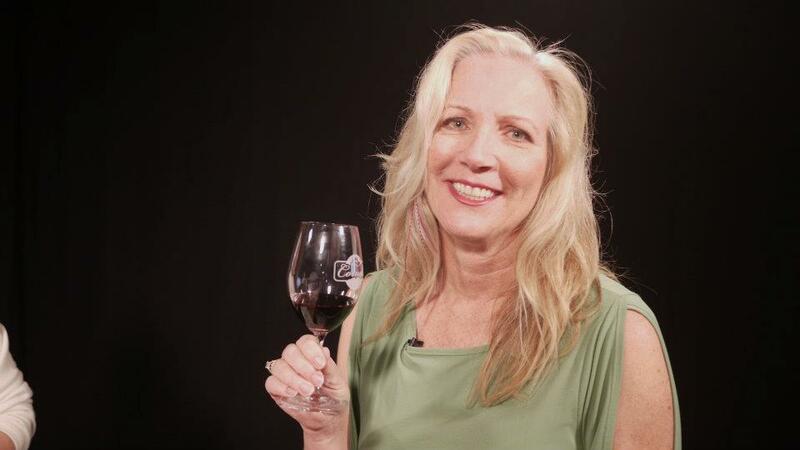 Participants must submit 1-3-minute videos shot in Temecula Valley Wine Country, exploring the theme, “We take our wine seriously… but not ourselves.” The top three videos will be shared via social media during the month of September. The top vote-getter will receive two tickets to CRUSH two tickets to People’s Choice Blind Tasting & Wine Dinner, an overnight stay in Temecula, a SIP Passport, and an opportunity to participate in harvest (prize valued at approximately $1000). To maximize your Temecula Valley Wine Month experience, consider staying at least two nights midweek, when your odds of meeting a winemaker or getting a peek behind the scenes run high.. Visitors to the region should consider purchasing a SIP Temecula Wine Tasting Passport, valid Monday-Friday for five standard tasting flights at 26 participating vineyards. Throughout the month of September, local wineries will feature an extensive lineup of events, live entertainment, and special promotions to celebrate Temecula Valley Wine Month. For up to date information and details on specific winery offerings, visit https://www.visittemeculavalley.com/things-to-do/events/. For details and more information about Temecula Valley Wine Month, visit https://www.visittemeculavalley.com/wine-month/. Being honest, I saw this as query on Facebook about favorite dishes at favorite restaurants. It had dozens of answers that I didn’t read. Why? Because I was already thinking of my own answers, and how soon I could get these faves – that I share with you now – in my mouth! 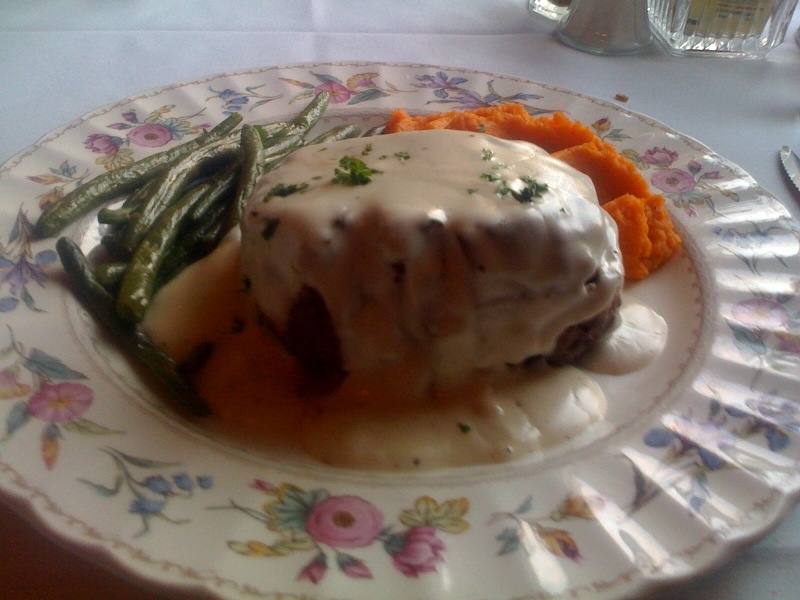 Backwoods Inn – Garlic Bread, New England Clam Chowder, Pork Chops, Bacon Wrapped Filet Mignon, Ribs, Prime Rib, Twice Baked Potato, a single malt from the bar or a bottle of wine from home as the corkage is low. Bricks on Lyons – The Cobb Salad (that has enough protein and veggies that you don’t miss the usual cheese ingredient), Salmon BLT, Ahi Tuna Burger and Tater Tots. Plenty of wine and beer on the menu but we usually eat there for lunch and skip the booze. Burrito Factory – Mexican Pizza (Nachos) with whatever meat I want it topped with – usually go for Chile Colorado, the #8 Burrito (Beans, Cheese, Lettuce and Guac) and, when I’m feeling the need for a guilty pleasure nothing beats the Chile Relleno and Beans Burrito. Dario’s Newhall or Canyon Country – Standard fare like Fajitas, Nachos, Chile Colorado or Chile Verde, Grande Tostadas, “Dario’s Chicken” with either a Cadillac, Cucumber or Coconut Margarita. Egg Plantation – The Classic Eggs Benedict, their version of Chilaquiles with lots of avocado, tomato, sour cream – on the side – of eggs scrambled with tortilla strips, a number of deli sandwiches or maybe just one of the 101 + build your own omelets! All with a Bloody Mary piled high with enough veggies to be a meal of itself…or an Espresso drink if I’m being good. Jimmy Deans – Junior Breakfast Burrito, Patty Melt, Tuna Melt, Tuna Salad Sandwich, Grilled Cheese and Chili Cheese Fries. Karma – Samosas, Coconut Curry Chicken, Tandoori Chicken, Saffron Rice and Aloo Paratha. If the full bar is back I usually would get the Vesper Martini. Kinza Sushi and Asian Izakaya – With a rotating menu of special rolls and fresh fish this one is harder to pin down a favorite. We usually start with any type of belly, yellowtail tuna or plain tuna, and always end with Oyster Shooters (no booze). For our booze we only do cold sake now that we have developed a taste for it and order the Kikusui Junmai Ginjo. Maria’s Italian Deli – I sometimes just grab the frozen homemade ravioli, both cheese and meat, to take home and whip up with sauce. But if I want to meet a pal for lunch I get a Genoa salami and Provolone cheese sandwich and to-go for my family it’s always the Chicken Parmesan, Chicken Alfredo and a simple pasta with marinara sauce. (With sides of garlic bread and green salads too!) I also order their deli trays for parties, always a winner. Newhall Refinery – With a seasonal menu that never fails to impress, different fare offered at lunch and dinner, my favorites from both include the Refiner Fries, Oysters, any Flatbread they dream up, the “Boole” Dog, Grilled Cheese, Ruben, the Cheese or Charcuterie Board, Handmade Pretzels, Hummus, Drunk Mac, Hanger Steak and Fish and Chips. The cocktails that incorporate far-from-ordinary ingredients I’ve ordered are the Bourbon Bramble (winner of the best cocktail at Cocktails on the Roof 2016), Moscow Mule, Old Fashioned and Rye Manhattan. Participating in Cocktails on the Roof 2017. The Oaks Grille (in the Tournament Players Club (TPC) Clubhouse) – Seasonal menus, killer wine and growing cocktail list, the last time we went we loved the Ahi Tuna Crudo, Prosciutto Pizzetta, Kobe Beef Sliders, Spicy Duck Meatballs, Braised Short Rib and Tortellini, Sea Bass…and a Napa Valley red blend from Falcor, Perrier-Jouet Grand Brut Champagne and Napa Valley Girard Cabernet Sauvignon. Participating in Cocktails on the Roof 2017. The Olive Terrace Bar and Grill – So much to try here, and I’ve liked them all: Ahi Runa Poke, The Bistro Chopped, Filet Mignon, Braised Eggplant Beef Stew “Gheimeh”…and kill me but I can’t remember which pasta! Also the bartender/manager Jonathan Cross makes a mean Negroni, Old Fashioned and Manhattan (the last was also a Cocktails on the Roof 2016 winner). Participating in Cocktails on the Roof 2017. Persia Lounge – The lunch buffet and dinners with fresh house made Hummus, Falafel, Shirazi Salad, Taboule and Shish Kabob. Participating in Cocktails on the Roof 2017. Piccola Trattoria – Prosciutto di Parma e Pecorino, Insalata di Spinaci, Dolcelatte all Caprese, Risotto ai Funghi, Carpaccio di Bue and the Pumpkin Tortellini, Tortellini di Zucca, just like they make in Italy, Ossobuco, Scaloppine di Vitello Marsala and whatever wines they suggest for the pairings. Rose and Crown – Bangers and Mash, Chicken Tenders, Fish and Chips, Shepherd’s Pie – all with whatever sounds good on tap for hubbie and Hard Pear or Apple Cider for me. The family that runs the place knows what they are doing. Route 66 Classic Grill – When we want to avoid a crowd at the movie theater at the mall we head to Canyon Country and always hit Route 66 before or after the film. (They have a special ticket price for the movies when you dine there too.) Veggie Sandwich, Club Sandwich, BLT, All American Dip, Bacon Burger, Chinese Chicken Salad and a vodka Martini if during the evening, iced tea during daylight. Salt Creek Grille Valencia – I’m here monthly for staff meetings so I do get a good chance to try lots of items. The classic Goat Cheese Marinara is always a winner, as well as the Artichoke, Parmesan and Spinach Dip, Creek Sliders, Coconut Shrimp, Ahi Tuna Stack, Caesar over Mesquite, Seared Ahi Salad, The Grille Chop, Porterhouse Stroganoff, Filet Mignon with Garlic Mashed Potatoes with any cocktail made with Nolet’s Gin, the special cocktail that day or a bottle of wine from the Wine List or Greg’s Wine List. Participating in Cocktails on the Roof 2017. The Social – Starting with the warm bread and tapenade, we love the Grilled Artichoke, Bacon Wrapped Scallops, Calamari, Crab Cakes, Caribbean Chicken Satay Brochettes, Filet Mignon Satay, Crostini with Brochette, French Onion Soup, (Buffalo) Mozzarella and Tomato Salad, The Social Salad, Baked Penne, (some of these items are smaller portions in the Happy Hour menu) Jambalaya, Cuban Style Skirt Steak, Filet Mignon Béarnaise and Osso Buco. And though they have a 100 martinis to chose from I always go with a Perfect Rob Roy. solita Tacos and Margaritas – Queso al Forno, Grilled Corn Elote cut and served at the table, the huge Ceviche Tropicale, Coconut Calamari Strips with Dos Salsas, Watermelon Copa, Guacamole Solita, any of the new supertacos or a taco plate. For drinks I like the Horchata Cocktail or a Margarita with a fresh fruit puree of whatever sounds good in the moment like Watermelon or Kiwi. Participating in Cocktails on the Roof 2017. Southern Smoke BBQ and Brewhouse – Fried Pickles, Hoe Cake, BBQ Tri Tip Salad, Combo Sliders and the Two (or Three) Meat Combination Plate where I can choose from Tri Tip, Brisket, Spare Ribs, Pulled Pork, Pulled Chicken, Half Chicken or Hot Links. So this is what happened. A friend’s query on Facebook about corkage fees, and dozens of helpful responses, including a few from me, resulted in her “getting up the nerve” to bring wine into a restaurant for the first time. My friend had checked to see if the restaurant allowed guests to bring in their own wine, confirmed the fee, made sure the wine was not on their wine list and off she went. Her friend also brought a bottle. When the sommelier – yes it was the type of high-end restaurant that employs somms – saw the two bottles he quipped that while one had brought a nice bottle, the other…did not. When this story was relayed back to me I was sooooo very disappointed for more than one reason. Besides feeling bad that I had bolstered this woman’s confidence only for her to be shut down, the larger issue, the one of the somm’s attitude, really irked me. No matter who you are in the hierarchy of a restaurant, or any business for that matter that is in the service industry, what can you possibly achieve by insulting a customer? Did this somm honestly think that the guest would return with a better bottle next time? Did the somm even think or care about what result his response would illicit? So, I sincerely hope that anyone in the service industry takes heed here. And if they simply can’t – then please get out of the industry. Because this old adage applies here: A happy customer tells one person about their experience while an unhappy customer will tell ten. 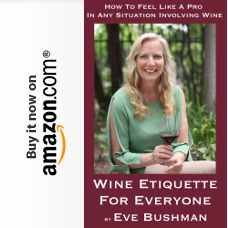 In addition to the above, we recommend that a customer try to bring to a restaurant something other than an off the supermarket shelf type wine. This particular bottle my friend brought in was not, but even if it had been, the somm should have found a different way to handle things. 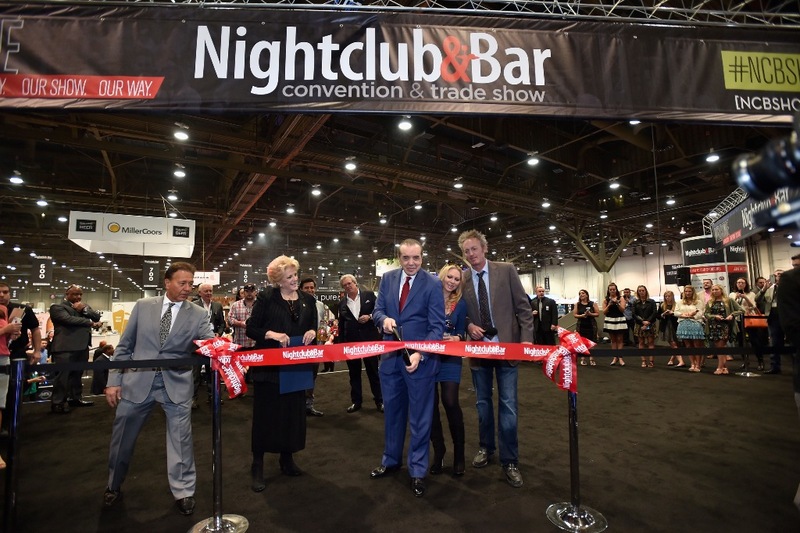 March 7th through 9th saw the 31st annual Nightclub & Bar Convention & Trade Show, held at the Las Vegas Convention Center. The show features dozens of seminars and workshops, along with a huge trade show presenting to attendees the latest and greatest of products and services being offered to the nightclub and bar industry. Oh yes, and there were parties too. Although the show started on Monday, it wouldn’t have been right to start our Las Vegas visit without a visit to our favorite area restaurant Echo & Rig. Chef Sam Martin [who was actually presenting a workshop at the convention on brunch trends] has created a food-lovers paradise in Summerlin just twenty minutes from the Las Vegas Strip. I wrote about the restaurant several months ago, so I won’t go into a lot of detail here. But I do want to make a couple of comments – free corkage is still in effect, the wait staff operates like a well-oiled machine, and although I had planned to order a blood-rare steak, our server sold me on the brisket and I have to say it was a life-changing experience. As I mentioned, there were lots of choices of what sessions to attend, from restaurant management to staff training to social media to drink trends to menu design and everything in between. We chose to attend the Super Session: Ask the Experts, a panel discussion moderated by Thom Greco of Greco Holdings, Inc, with the following panelists: Chef Brian Duffy of CBD Solutions, Brad Bohannan of Spirits on Bourbon, Nancy Hadley of Nancy Hadley’s FAC and Russell Davis of Unlimited Liabilities. Opening Remarks were hosted by Dave Elger of HotMixology and included the Bartender of the Year presentation to Nectaly Mendoza of Herbs & Rye in Las Vegas and followed by the keynote speaker: Jimmy Bernstein, founder of the successful Howl At the Moon chain of nightclubs. The trade show in the expo hall officially opened on Tuesday, but before that we attended…. The Keynote presentation by chef and restaurateur Cat Cora and Tobin Ellis of BarMagic. People aren’t just sitting and drinking as much anymore and are really looking for food to have with their libations. So, whether you are a gastropub, restaurant or dive bar, you need decent food to hold people’s attention and get them to stay [and keep spending]. Pairings, flights and choices are important. 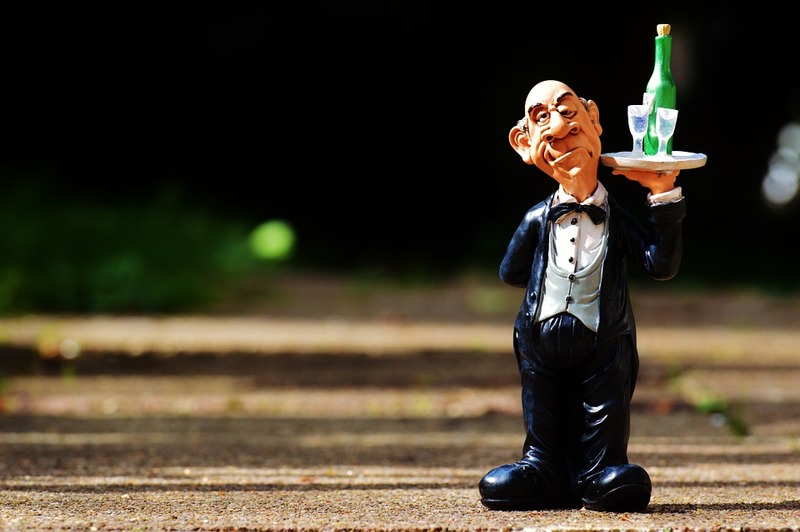 Bar and restaurant owners often open their business to feed their own ego and provide an experience accordingly. But, you need to put your ego aside and create an experience that your customer wants. Look at your club through the customers’ eyes, literally. Get their opinions, sit where they sit, and think about how what they see, drink and eat impacts their desire to stay and return to your place of business. Oh, and gelatin shots are really big. Found that out at the party the previous evening and also by way of the number of the shot producers at the trade show…which was now ready to get started with the red carpet and ribbon cutting ceremony presided over by Oscar nominated actor Chazz Palmenteri. The trade show was one of the largest I’ve ever attended. From glassware to inventory management to bar furniture, along with lots of bar samples, the event had something for everyone. My own observations and comments from others lead me to believe that this convention is well worth the investment for people who are in the bar, nightclub and restaurant industry, as well as for anyone thinking about getting into that business. One of the attendees who we bumped into in our hotel elevator was bemoaning the fact the he was losing so much in the casinos but he was still well very happy to have made the trip out from Long Island NY to attend. Not to mention the parties. After compiling your Santa Clarita Valley Happy Hour 2016 Update in March of this year doing this one, the Santa Clarita Valley Corkage Fee 2016 Update, took a wee bit longer as it proved to be more daunting. Most restaurants don’t list corkage fees on their website or Facebook. Some don’t respond to emails or messages on social media. (Why hire someone to do your social media if they aren’t actually going to respond to your customers?) I went so far as to try and search “corkage” on restaurants in the area on Yelp, but soon discarded the idea as Yelp is an unreliable source, and it was time consuming. And to answer why I don’t call every single restaurant: I want a record in writing, so that I can be a reliable source! So, for your ease, all restaurants in bold have been updated via direct email or a website for 2016. Those not in bold have the 2015 information. And, as I did with the Happy Hour list, I welcome your comments for any that I’ve missed or that you know about and would like to share the information. Bold has the 2016 update. 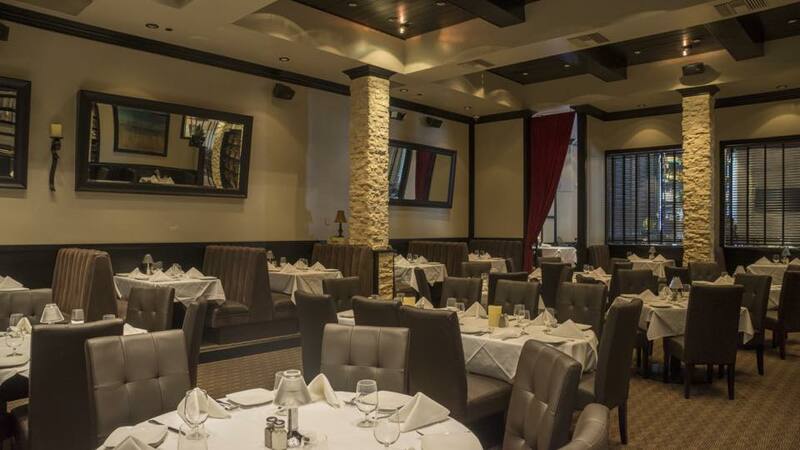 Persia Lounge: $15, 1/2 off during happy hour. Wolf Creek Restaurant: $10, and 40% off on all wines by the bottle on Tuesdays from 4pm until closing for Wine Lover’s Night. For several weeks now I have been hearing rumors about our newest wine bar in town: Roman Holiday Wine Lounge (RH). I myself was guilty of repeating the original quip, “bath house or wine bar”? So, armed with pen and pad, and the nerve to request an interview, I met with Jen Baker, their manager/sommelier, to help dispel some rumors for my peeps. Price: I researched the question of price with a pal that owns a wine bar with the same set up and found the prices comparable. Prices at RH range from $1.00 an ounce to $100.00 a glass – Jen said that most range from $2-$3 per taste and less than $15 per glass – and wine is also available by the bottle. Jen added, “The idea is to try out without making a big commitment or investment.” Additionally, if you want to bring in a bottle of wine the $15 corkage is waived if you purchase a bottle. How it works: The machines, electronically dispensing pours by the ounce, can be somewhat daunting at first, but the staff explains how to use them quite simply –and soon you’re a pro! You are prompted to buy a re-loadable card. (Which I thought so cool that I bought one above the amount I planned to taste so that I could show it off in my wallet. While my pal, that I thought did the same, had to use hers up that same night. Of course, knowing her, she will soon be back to “reload”.) If you are concerned about spending too much stay away from the one kiosk that is all high-end wines – you’ll know it by the prices. Selection: Start at the white wine kiosk, working your way through to their entire 64 bottle collection that is approximately 30% Italian, 30% Californian and 30% from the rest of the world in building, what Jen calls, “a palate portfolio.” Each bottle in the machines are good to last, but never does as it’s drank per Jen, a good 60-90 days with the argon gas system. It’s known to be that effective against wine oxidation. Food: Choose a cheese, a salami, and the sides are complementary in the Tapas plates. Panini sandwiches, served with a side of mixed greens, and desserts are also now available. In an effort to keep things new and changing, RH will be adding more “new flavors of chewable bites” in the next few weeks. For me, I need food with my wine as once I’m settled I don’t want to leave, so this news, almost like a constant rotation, sounds exciting. Wine knowledge: Jen, herself an experienced sommelier and manager, has hired a team “for their personality and friendliness.” She said, “I can train people on wine but I certainly can’t make someone nice.” I overheard a young man named Jeremy helping a customer with a selection. He was both knowledgeable but in no way presumptuous in his style. Jen says that she tells her staff to prompt information from the customer – before making a suggestion when asked – by asking them what they like. She feels that answer can tell staff both the price range and the grape style the customer is most comfortable with and allows them to make a tailored recommendation. Entertainment: What’s with that piano? They may employ a guitarist in the future but for now, they are just pursuing a comfortable atmosphere. Their goal is to have the music contribute to the ambience, not overpower it. Service: Jen continued, “This is a team effort, neither the owners, or myself, choose to be singled out. We wanted to create a welcoming environment without anyone feeling that wine is for a sophisticated audience only. We divulge knowledge when asked and won’t be telling customers what’s right or wrong.” With that, the staff “circles” the machines to make sure customers are finding their own way and that guidance is available if desired. When I was there a member of their staff, and a wine peep of mine, Jeannie, was very solicitous to our needs. I found myself quite happy in the RH lounge. And the pal I brought, usually preferring to be served by the bottle, started off worrying that she may not like it. But by the end of our evening – and this is the gal that used up her card on the first night – she was strolling around those kiosks showing others what to do.